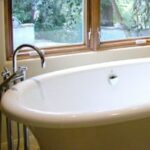 The most difficult and costly step of most bathroom renovations is removing the old bathtub. There’s simply no way to quickly, neatly or quietly bust apart and haul away a bathtub, especially if it’s a tub/shower combo. Also, extracting a tub usually means prying off wall tiles from around the perimeter of the tub, creating additional work and repairs. Bathtub liner gives an old tub a brand new look. Thankfully, in most cases you can update your bathroom without removing the tub. How? By hiring a professional to install a tub liner. 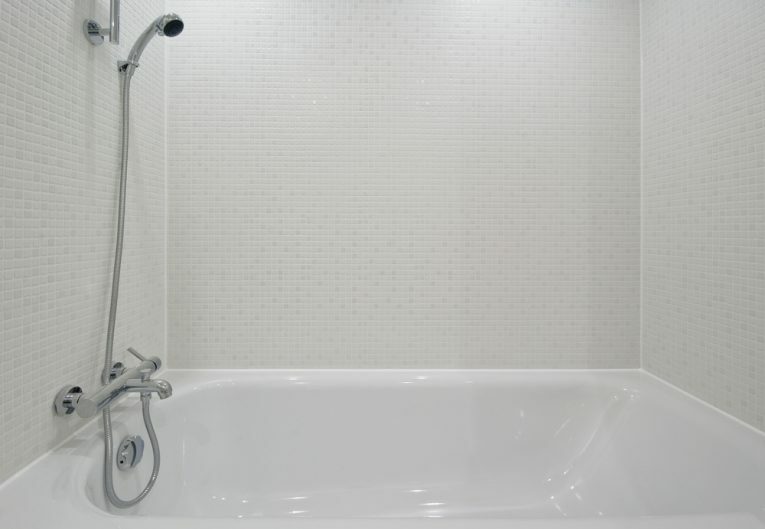 A tub liner is a custom-made, one-piece acrylic liner that fits directly over the existing bathtub and connects to the shower walls. The installation typically takes less than two days and is completed without disturbing the surrounding walls or floors. Note that there are certain instances when a tub liner isn’t recommended. For example, if the existing tub is badly cracked or rusted through, or there’s extensive water damage to the floor frame below, it’s best to remove the old tub completely and replace it. An acrylic liner is an ideal solution for tubs that are permanently stained and impossible to clean, spotted with rust, badly scratched or chipped. It’s also a viable option if your tub happens to be harvest gold or avocado green but you’d prefer it to be bright white. Acrylic tub liners are available at most home improvement stores, and the overall cost includes an in-home consultation with a design consultant. 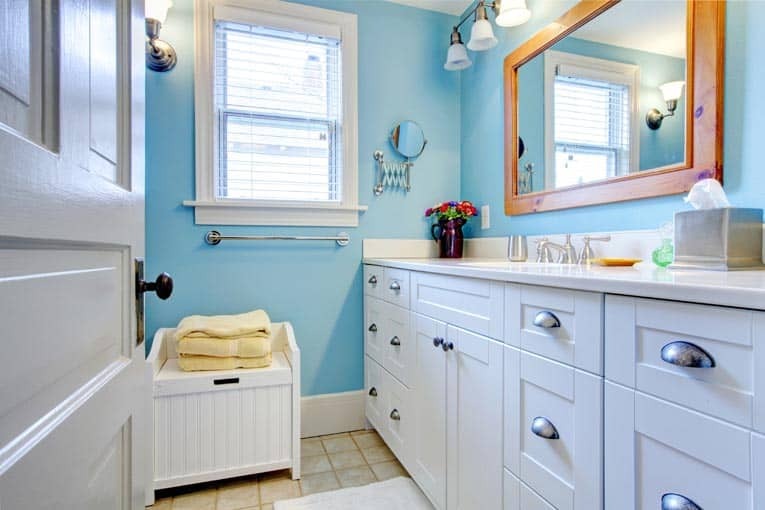 The consultant will inspect the existing tub and then help you choose from the hundreds of options available, including a broad range of tub liner colors and styles. Once you’ve chosen your new liner, trained technicians will come out to your home to take measurements to ensure that it will fit precisely over the bathtub. It’s important that the liner fit snugly to prevent water from seeping between the tub and liner. During installation, tub liner specialist seals the new liner to the wall. All hardware that will interfere with the installation is removed, including the overflow plate, drain and spout. The surface of the old tub is scrubbed clean, usually with denatured alcohol, not noxious chemicals. The new liner is adhered to the tub with a combination of two-sided butyl tape and silicone adhesive. 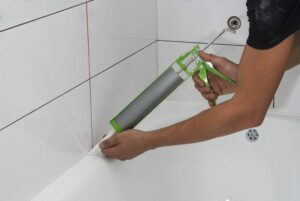 Caulking is applied to all exposed seams to create watertight joints. The removed hardware is reinstalled. A professionally installed tub liner typically costs between $700 and $1,000. That isn’t insignificant, but it’s a lot cheaper than removing the tub and installing a new one, which can easily cost three times as much. Reglazing is more affordable option than installing a tub liner, costing only about $500. It consists of having the surface of the old tub chemically stripped and then sprayed with a thick coat of epoxy or urethane, which takes 18 to 36 hours to cure. 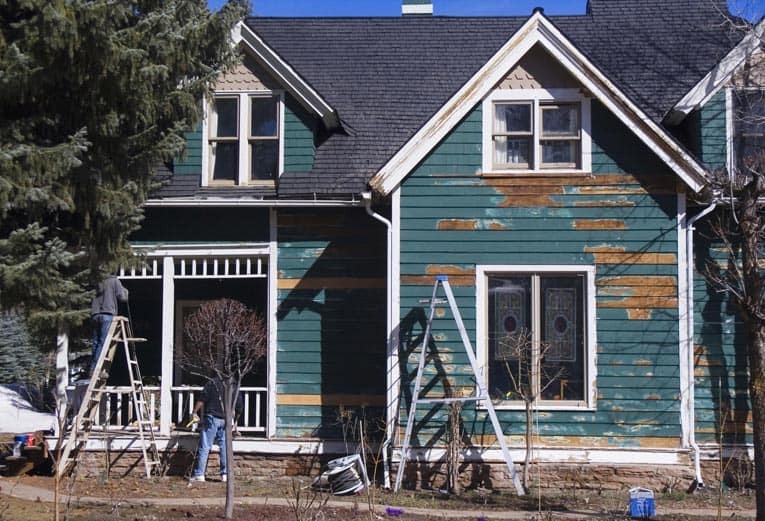 While the immediate results are pretty impressive, reglazing has a tendency to yellow, crack and fail over time, especially if the tub’s surface wasn’t meticulously prepared. 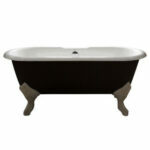 The advantage of tub liners is that they won’t ever crack, peel, chip, rust or collect mildew. In fact, tub liners are often installed over previously reglazed tubs because homeowners weren’t happy with the durability of the reglazed surface. Plus, once the acrylic liner is installed, you can take a bath on the very same day. Home improvement expert Joe Truini is the author of multiple do-it-yourself books and writes on home improvement and DIY for The Home Depot. Joe has many years of hands-on construction carpentry experience. For more research information on tub liners and bathroom remodeling, visit the Home Depot website here.